Silivia shares how she practices freedom as a discipline on the road and why this keeps her feeling inspired and fulfilled. Born in Germany and raised across Europe, Silvia describes herself as a hustler by nature, as well as a yogi and a meditator. She is currently based in New York, but essentially lives everywhere and nowhere. She comments, "I'm a nomad by heart." Silvia is a growth expert. In her early career, she specialized in business development by building successful companies from pre-revenue to their first million. Now, she focuses on commercializing products and transforming teams during periods of rapid growth. 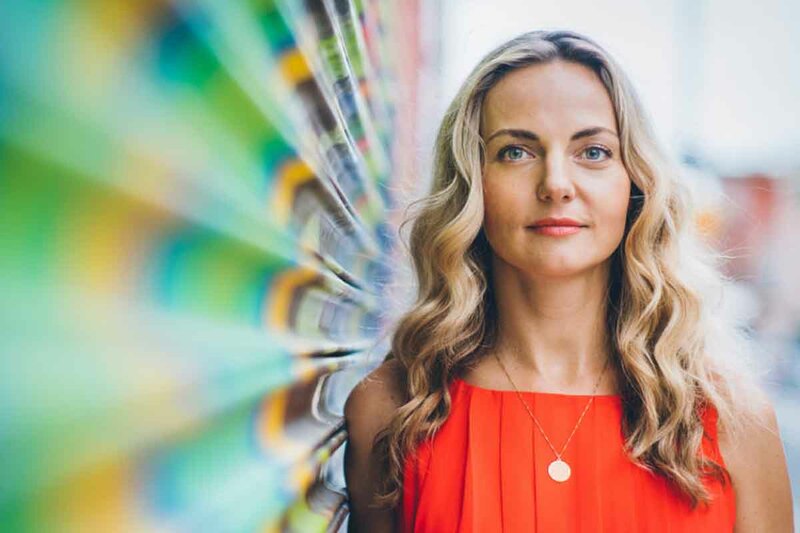 As she will be joining us for an upcoming speaking event at Outsite NYC, Silvia was kind enough to answer some questions about herself and her nomadic philosophy for our readers. Outsite: Tell us a bit about yourself and your background. Silvia: Before starting my boutique practice in 2011, I was focused on building startups. I’ve had the privilege to learn from very successful serial entrepreneurs - true visionaries, evaders of convention, people who believe that a great idea can be born out of frustration, a need we see in a market place and a true desire to create change by innovating products. Building start-ups taught me how to wear may hats quickly. I became extremely resourceful and fast on my feet, with a keen ability to explore alternatives and options while evaluating long-term goals. You could say I've been in the "growth" business my entire professional career. I worked in tech with a focus on media, social impact and design, building companies, and transforming sales teams during periods of rapid growth. This work was enjoyable and fruitful, but something still wasn’t fully aligned with the totality of me. Through a lot of inner work, I became increasingly aware that my life path is driven by these core values: Drive change in this world (social and economic impact) Need for personal freedom, adventure, need to build and create things (my love for entrepreneurship), desire for constant change and leveraging wellness as key driver for success. From this insight and clarity, I developed unconventional frameworks that served as a catalyst in reorienting my life, harnessing and amplifying my biggest strengths while turning my weaknesses into valuable assets I could leverage for further growth and success. 2010 marked a big turning point in my life. After years of burning the candle at both ends, I made the terrifying decision of putting my core values first. It was time to reevaluate what was important in life, the role I wanted to play as a leader in this world, and how I wanted to feel. The foundation of this was fundamental lifestyle shift in 2004 during which I discovered the yogic path. It laid the groundwork that began to fundamentally change my perspective on life and with it my priorities. I fearlessly acted on my desire to immerse myself in the study of different spiritual modalities and metaphysical principles. To do so, I had to lighten my load and rid of myself of worldly responsibilities and possessions. I gave up my apartment and everything I owned, so I could study with teachers all around the world freely and uninterrupted. It was simultaneously the most enriching and challenging time in my life. I explored radical new ways of thinking - fact is you can retrain your brain to simply see things differently. I sat in ashrams and monasteries, and I visited many holy sites. I learned the art of living from eccentric beings i met along the way living an unconventional life, enlightened Gurus, and very controversial teachers. During this time, I became certified as a Jivamukti Yoga teacher, in Thai Vedic Bodywork, Kundalini Tantra, Ayurvedic Nutrition and Vedic meditation, I embraced the Kundalini Yoga practice as my speciality while Ashtanga Yoga became my personal practice. My work today is based on the on the connection between the body, mental habits, diet, lifestyle choices and energy levels. I find cathartic practices instrumental to overcoming trauma and deeply rooted blocks we have that keep us from moving forward. It’s why I became a student of the Course in Miracles, spent many months in the Osho Ashram in Pune, India - I am fascinated by his teachings. Additionally, I took courses in EFT, NLP, CTM, Enneagram, Human Design, the Art of Sacred Ceremony and Rituals - to name a few. I travelled around India and Sri Lanka on a motorcycle, let the wind take me from one adventure to the next around the world and allowed my need for personal freedom drive my ambitions. It was a very necessary process to break the shackles of convention and join my visionaries on a road to an unconventional life fully aligned with my values. And with this, very naturally new opportunities began to emerge. People did not only want my help building business, they also wanted to know what drove my instincts and ambitions. They wanted to know how to live in a fearless, but grounded, pursuit of freedom. I was being approached to consult on various projects, setting up business development strategies for startups across different verticals. I helped drive sales from $1 million annually to $4 million at a financial services company. I spearheaded a new market entrance strategy for an edtech startup in Asia. I established partnership and licensing agreements within the beauty and fashion verticals. I've been advising many entrepreneurs ever since, but have been sworn to secrecy. (You know, the NDA thing). Simultaneously - I started building out my growth experiences as an offering to guide others through the process of creating dynamic frameworks in which they can thrive as well. Helping individuals to stay motivated while giving them necessary psychological enablers to navigate the landscape of change while moving away from the dictates of convention. I’m happy to say that my life and work today are aligned with who I’ve always been. I am truly living my purpose on every level. Today, I have the privilege to sit across from greatness every day. I get to work with extraordinary people. I transform lives, businesses, and with it – aim to change the world. What has been the most challenging part so far? When I started traveling and being a nomad I was still sending faxes home ;) No challenge in this digital age compares to the disconnect I had to be willing to absorb when traveling. Nowadays we can stay connected across distance and time. Any stories you would like to share? If you haven’t done this already I highly recommend doing it at least once in a lifetime. Go pack a bag and travel the world SOLO. It’s the most enriching thing you can do for yourself. If solo travel has taught me anything it’s three things: You can deeply immerse yourself into a journey and go with the flow without having to worry about someone else’s agenda. Solitude is a great companion when you are at peace with yourself. YOU ARE NEVER ALONE. Seriously. You meet so many new and inspiring people everywhere. I’ve been a solo traveler for over 15 years now. And I’ve never found myself feeling alone on those journeys. Not even when I found myself stranded, injured or sick. I’ve always been surrounded by awesomeness and incredibly kind people. I’ve taken to the road less travelled and then veered off that road as well to go deeper into the wilderness. I’ve done some pretty stupid stuff in the name of a good adventure. Yet –I did not find myself alone, not once. Not even when things went really wrong. I’ve been stuck in the jungle under rebel fire, fractured a leg, had motorcycle accidents…you name it. So when you question whether you should venture out by yourself and go see this wonderful world… I say go for it. How does Outsite fit into your current lifestyle? What I love about the cowork/co-living movement is that we can now living in places with other nomads (not just travelers) who share the ethos of wanting to consistently leave, learn grow and change. Collaboration now is a natural occurrence and inspiration never further than another roommate away. Any advice for aspiring nomads? Start by immersing yourself in a community like Outsite where you find like-minded people, inspiration and motivation to keep pursuing your dream life. Silvia will be teaching a Business Accelerator in Nicaragua November 30th - December 4th. Join her for a 5-day business accelerator designed to elevate every area of your life on a private beach in Nicaragua. Together, with 75 entrepreneurs, you will be staying in luxury treehouse villas, eating gourmet traditional Nicaraguan foods, going on epic adventures, and learning workshops from 12 industry-leading speakers. Click here to get all the details! Stories, new locations, and news. Explore the best Bali hotspots for digital nomads at Outsite coliving in Canggu. The global coliving Membership for digital nomads. Here's what's included. Is the Wifi good in Santiago? Is Santiago good for digital nomads? Is it a safe city? Find out more here. Outsite makes coliving spaces designed staying, working and playing.